Lagos (AFP) - Boko Haram has pledged allegiance to the Islamic State group, after repeated indications that it was seeking a formal tie-up and a series of Nigerian military successes against the rebels. 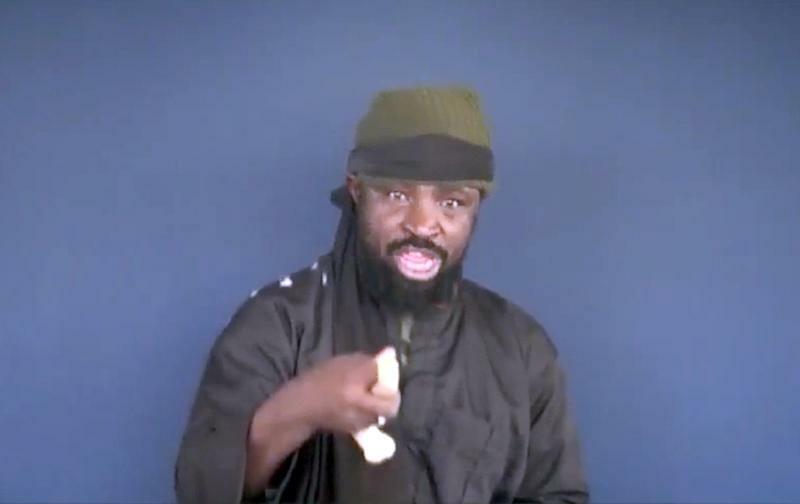 The Nigerian group's leader Abubakar Shekau made the announcement in an audio message on Saturday night, describing it as a religious duty and saying it would "enrage the enemy of Allah". The declaration raises the possibility that Western powers, which have so far stayed out of direct military operations in northeast Nigeria, might be pulled into the conflict, which has left more than 13,000 people dead since 2009 but largely been seen as a "local" or regional issue. "Operating as an IS proxy could draw Western efforts against its operations, particularly from France, which already runs a multi-country anti-terrorist campaign in the west and central African region," said Ryan Cummings, from risk consultants Red24. Extremists from Libya to Pakistan have previously pledged support or allegiance to IS leader Abu Bakr al-Baghdadi while the group itself last month expanded its reach into lawless Libya. There have been growing indications that Boko Haram was looking to formally align itself with IS group, starting last year when Shekau declared the captured town of Gwoza, in Borno state, part of a caliphate. That followed a similar declaration by Baghdadi while both groups have captured swathes of territory. In recent weeks, previously poorly produced Boko Haram videos took on the look and feel of more polished IS propaganda and were posted directly online, guaranteeing a wider audience. IS was also reported to have received pledges of allegiance from militants in Nigeria. Max Abrahms, a specialist in extremist groups, said Boko Haram and IS, which has yet to respond to the pledge, were in many ways a perfect match. "Neither group (IS and Boko Haram) is inhibited in terms of violence. They're a natural ally," said Abrahms, from Northeastern University in Boston, Massachusetts. Shekau may have attempted to tone down his violent rhetoric and improve Boko Haram's public image among the wider jihadi movement but indiscriminate attacks have continued against civilian "soft" targets. Scores of civilians have died in suicide attacks and bombings, despite the military fight-back by Nigeria and its regional allies Cameroon, Chad and Niger. 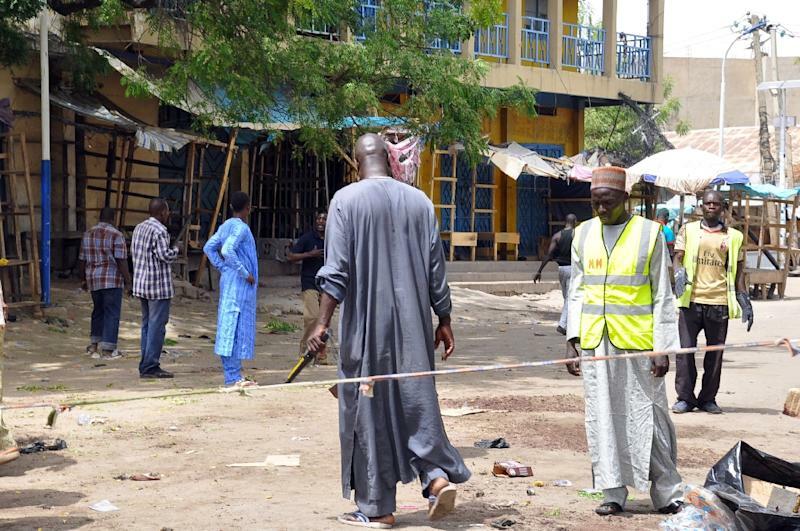 Borno police commissioner Clement Adoda said 58 people died in total and 139 were wounded. Fear of further strikes prompted businesses to be shut across the city, whose population has swollen with hundreds of thousands of people displaced by the violence. "The terrorists are angry with the way they were sacked from towns and villages and are now venting their anger," said Borno's justice commissioner, Kaka Shehu. Nigeria's military on Saturday announced another success against Boko Haram, ousting them from Buni Yadi and Buni Gari in Yobe state after previously claiming the recapture of Marte in Borno. 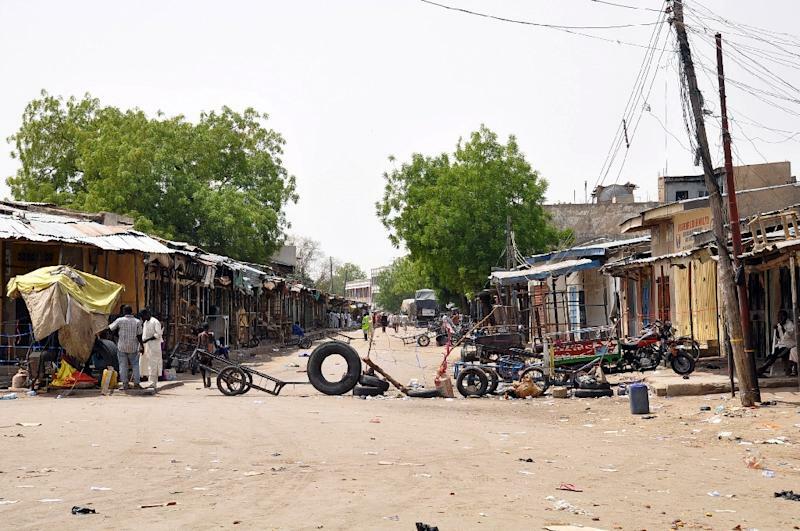 Militant fighters were this week reportedly amassing in Gwoza -- generally considered to be the group's headquarters -- possibly in preparation for a military offensive. Experts said the pledge of allegiance to IS, which is also being forced on the defensive in Iraq, could be a result of the military pressure. "We have got two organisations that have suffered several setbacks in the last few weeks or months," said Yan St-Pierre, a counter-terrorism expert at the Modern Security Consulting Group in Berlin. "This might be a way to send a message to the troops, to strengthen morale or attract more followers, particularly in Boko Haram's case." St-Pierre suggested the pledge was linked to IS inroads in Libya, from where Boko Haram has been said to receive arms and ammunition via smuggling routes in the Sahel region. "Most of the contact Boko Haram groups or factions have had with ISIS have been along that axis, and Sudan," he added.